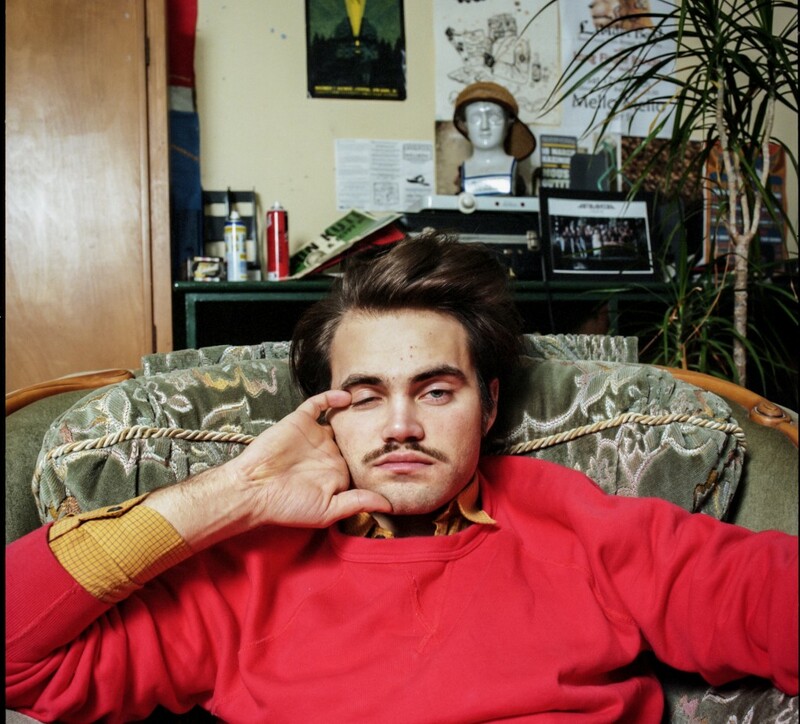 Who is Mikhael Paskalev you ask? Watch the video for his first single “I Spy” below and then start reading. b) He’s created one of the catchiest summer anthems in recent memory and you’d be mad not to get involved early so you can consider yourself a part of the first wave before he gets too popular for you. c) He has some good good chat. See interview below. SCENEWAVE: Mikhael, where are you calling from? MIKHAEL PASKALEV: Been good man. Travelling a lot lately but right now enjoying a nice big breakfast in my hometown. Nothing sweeter than that. SW: I see recently that you’ve been touring through schools in Norway? MP: Yep, for the last month just all around Norway. Been doing gigs in the evenings and one or two shows in day time for school kids. It’s been pretty funny. SW: Is it true that recently at one of these school gigs, you offered up $100 for anyone who gets their pants off and dances to “I Spy”? MP: Haha yeah, well It was actually 200 euros, and yeah I was skint for a little bit that’s for sure. I didn’t think anyone would do it, but two boys stepped up. SW: I’ve been told to ask you about your film obsession. A big Tarantino fan I’ve heard? MP: Tarantino is one of the greatest for sure. Everything he touches is just spot on. If I had to watch movies by one director for the rest of my life, I’d pick him. SW: Give me a review of your favourite movie of his. MP: Ummm ok. ‘Pulp Fiction’ definitely. Pulp Fiction is a very cool movie, with all the Tarantino signatures. He’s still making mistakes in a way – not that I would have done it any better – but you can tell there are just little things that he would’ve changed, looking back on it now. It’s nice to see something that good still contain some ruthless faults. I also love ‘True Romance’ but he only wrote the screenplay for that one. SW: Your debut record, What’s Life Without Losers has recently been released overseas. If it was a film what would it be? MP: Wow. There are a lot of films in this album, that’s the thing. ‘Paris, Texas’ – great movie. I have a neurotic side at times, so probably compare that to Woody Allen…I guess my Paul Simon side is a bit Woody Allen. Tarantino’s in there when I’m trying to be a bit cool like that. Elvis is obviously the greatest artist ever on earth, and I wouldn’t ever compare myself to him, but when some people draw similarities that makes me very happy. Elvis is where Tarantino kicks in. SW: What’s planned for your Australian release of What’s Life Without Losers? MP: No idea. I know the single has been released and then there’ll be an EP release, then an album after that. Exactly when, I’m not too sure. MP: Haha I hope not. The title came about because I met a girl and she was really really cool. I liked her a lot, but it was at the time where you don’t really want to meet a girl that good; you just want to be on your own, to have a great time. I found it confusing and noticed that when people find a serious girlfriend they become boring. I think of that old saying ‘as two become one’ and that is really a terrible saying. That’s the worst thing you could become as a couple. Most people do it though, so the title came from me at that time thinking that there’s no way I want to be one of those. Then I thought well what the heck I might as well give it a try and have a good time with it instead of taking it to seriously. SW: I haven’t had the chance to hear the record yet. What is the essence of the record? Is it a concept album? MP: Not really. I am focusing on being a songwriter so they are quite different. There’s my self pity side, reckless side, an I don’t care side at the same time – the record just features parts of each emotion. Its just me trying to be a songwriter without sounding like James Blunt or Damien Rice or those sort of boring people. SW: Every person I’ve shown “I Spy” to says the same thing – that the dancing, the catchiness of the song, everything about you really, is totally infectious, that this dude must be the happiest guy on earth. What influences you to feel that way about music? MP: Well I guess it looks bad considering I’m listening to my own song haha. I think music is just great. I remember being very young , just starting to switch from kids TV aged 3 to MTV. I just slowly fell in love with music basically. I remember when watching the movie ‘Ghost’ with my mum and the Righteous Brothers’ “Unchained Melody” came on. I almost started crying, not to sound oversensitive or something… Most people think that musicians are oversensitive guys. Im trying to be a cool guy, but we really are quite sensitive. Well not just musicians, people that like creative things generally tend to be like that. Art Garfunkel wrote “Bright Eyes” which is a real stab in the heart. Now, Elvis as mentioned has more of a good time with music than anyone. So if you want to listen to something upbeat, for me music is very powerful. SW: I’m calling it early but “I Spy” will be the next summer anthem in Australia fa sha. MP: Oh I hope so man, I really want to come to Australia. I’ve never been there so hopefully soon. SW: What do you expect of Australians? MP: Tricky question! If I just run with the stereotypical Australian guy, I think most people have bleached hair and surf a lot. Having said that that’s mostly from watching ‘Home and Away’ on TV. Also, I was really into Silverchair as a kid. I don’t have any real preconceptions though apart from hanging out on a beach and having a good time. Obviously there is more to Australia than that and I look forward to getting the whole picture. MP: Haha yeah I realise that haha. SW: I read in one of your interviews recently that if you didn’t work out as a musician, you would want to be a criminal or a cop. I’m in training to become a criminal lawyer. Can you tell me more about this comment? MP: Haha wow. Well I think that those two things are just kind of black and white. I’m that sort of person that either I’m this or I’m that. Like with movies, I often relate to the crims and crooks just as much as the good guys or policemen or whatever. That sort of depends on how the movie’s directed etc. I think there are good crims and bad cops. It was just a funny thing to say at the time as well ha. MP: Well yeah I think I’m mostly a nice guy. I’m not dealing drugs on the side or part of the mafia, although I’d think I was pretty cool if I was. If I was De Niro in the ‘Godfather’ that would be cool, but I’m definitely not. SW: If you were a wrestler what would be your theme music? MP: Whoa cool question. Maybe something like Andy Williams. A song called “Love Story”. For a moment I was thinking Led Zeppelin, but then I thought I’ll go a bit opposite with something pompous and classic. Something you can cry to. MP: Haha yeah then I just need to make a wrestling name. SW: Like you, most Scandinavian artists choose to sing in English rather than their native tongue. Why’s this? MP: I think when writing I have a bigger vocab in English than Norwegian. It’s a more colourful language for me and I hardly listen to any Norwegian music. Over the years there have been a lot of good Norwegian bands but I can count them on one hand. We are so influenced by English culture… TV, music, whatever, makes me feel culturally closer to that somehow. Even though that’s a bit contradictory to being a Norwegian speaking guy. SW: What song would you listen to if you were riding your bike down the Champs-Élysées at 3am? MP: Serge Gainsbourg – “Je t’aime”. A passionate music enthusiast who unashamedly knows every word to "Wham Rap". Loves guitar, travel and the idea of graduating uni.